Marxism is a political and economic philosophy showing that historical change occurs through the material development of the productive powers of society. 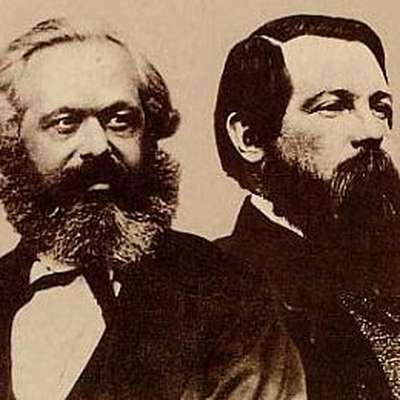 Its founder was the German philosopher Karl Marx (1818-83), key figures include his associate Engels, Lenin, Trotsky, Mandel, Althusser, Jameson, among many others. The conflict between 'classical' economics and Marxist economics is a key debates of the 19th, 20th and 21st centuries. Visit the forum if you wish to propose other lessons.